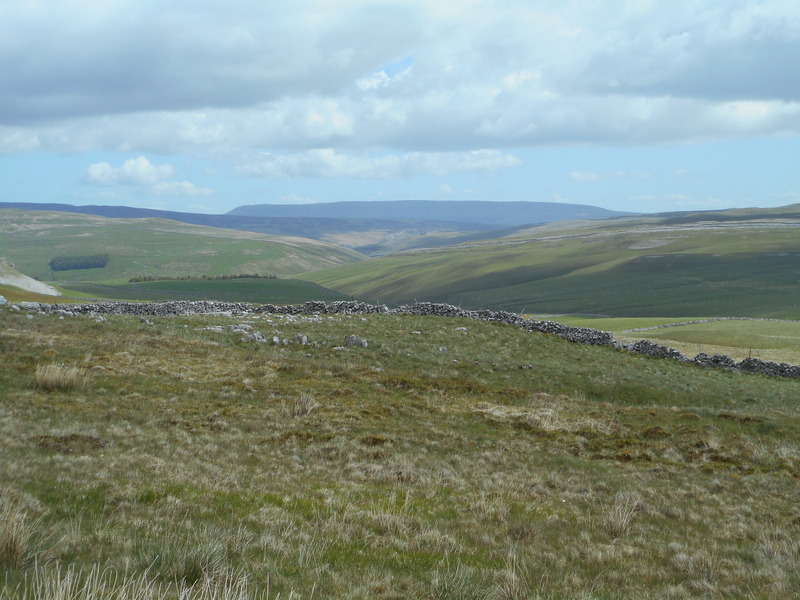 Fountains Fell is a fairly shy and retiring mountain standing between the Malham Tarn area and Penyghent. Its proximity to these honeypots and its comparatively unexciting form perhaps go some way to explaining its neglect. 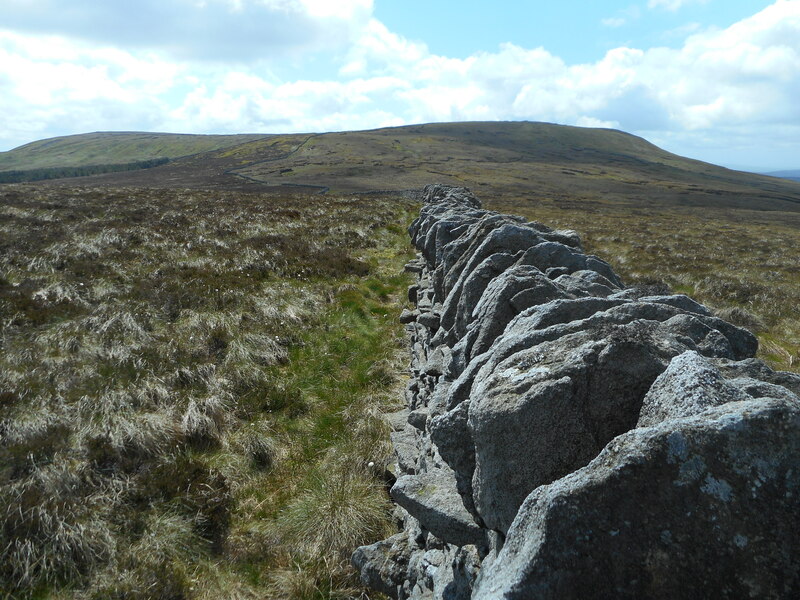 Even the Pennine Way avoids the summit, crossing the fell around half a mile from the highest point. 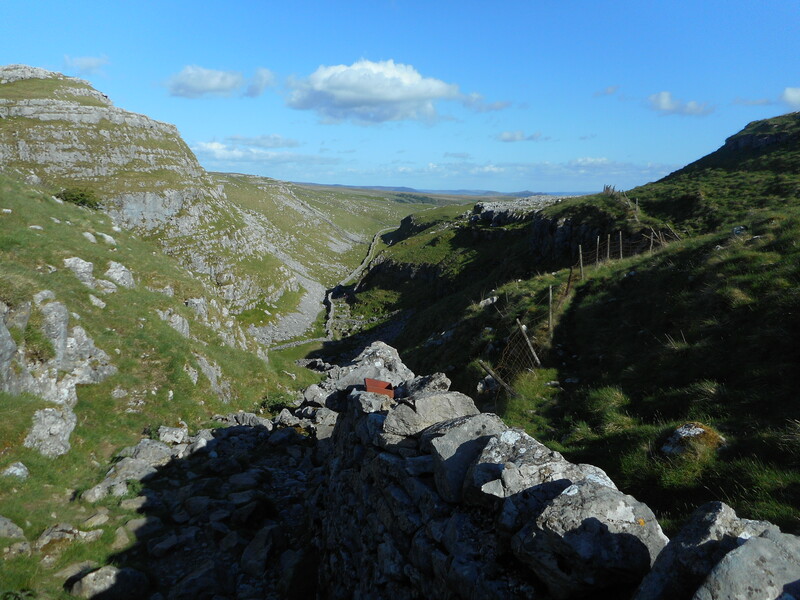 Nevertheless, the full traverse of the ridge makes for a satisfying and enjoyable round with far reaching views across the Dales, and is a good choice for anyone seeking seclusion in this ever popular area. 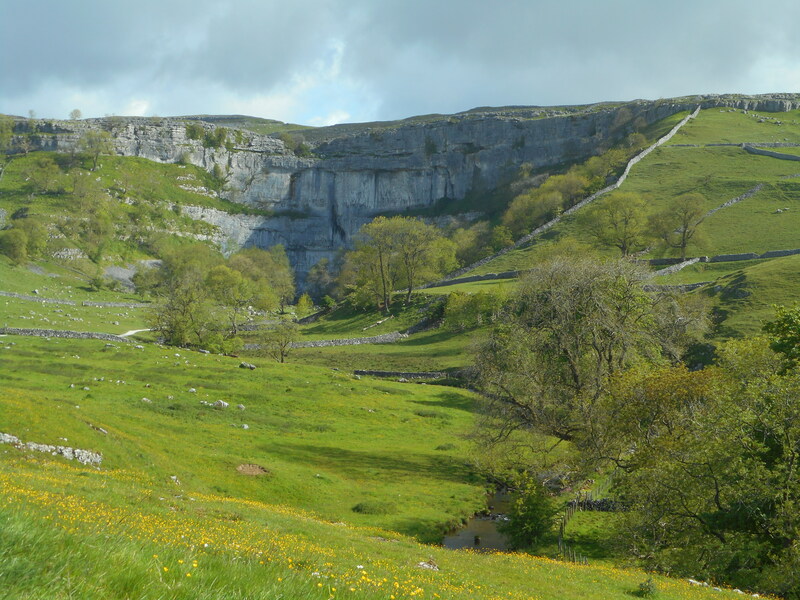 Although it’s possible to climb Fountains Fell from Malham Tarn, I always feel that I’m cheating if I start halfway up the hill, so we set out from Malham village instead. 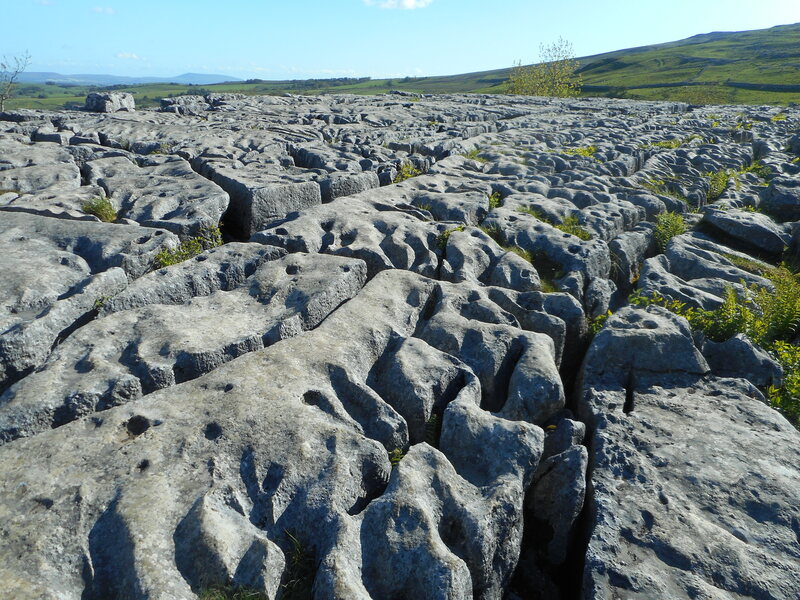 This also gave us chance to enjoy the truly spectacular limestone scenery of the cove and the dry valley en route. Although we could hear the peregrines as we climbed the path at the side of the cove, we weren’t lucky enough to see them, and they were silent again by the time we had reached the top. 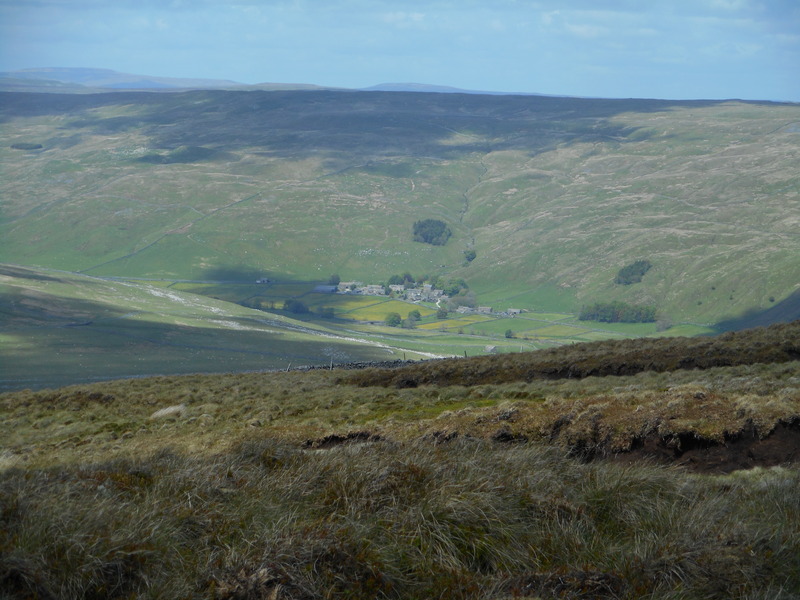 We therefore continued up through the Watlowes Valley and part way up, we were rewarded with the sight of a weasel running about in the scree just to the side of the path, seemingly oblivious to our presence. 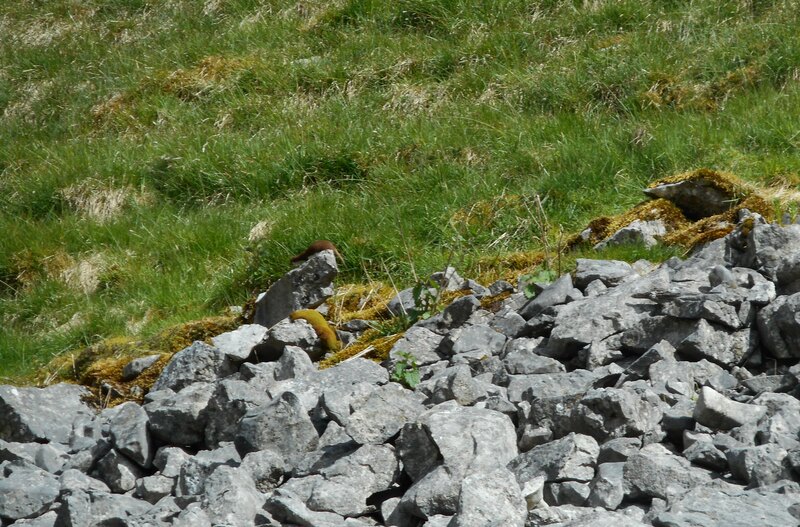 It was certainly by far best view I’d ever had of a weasel. 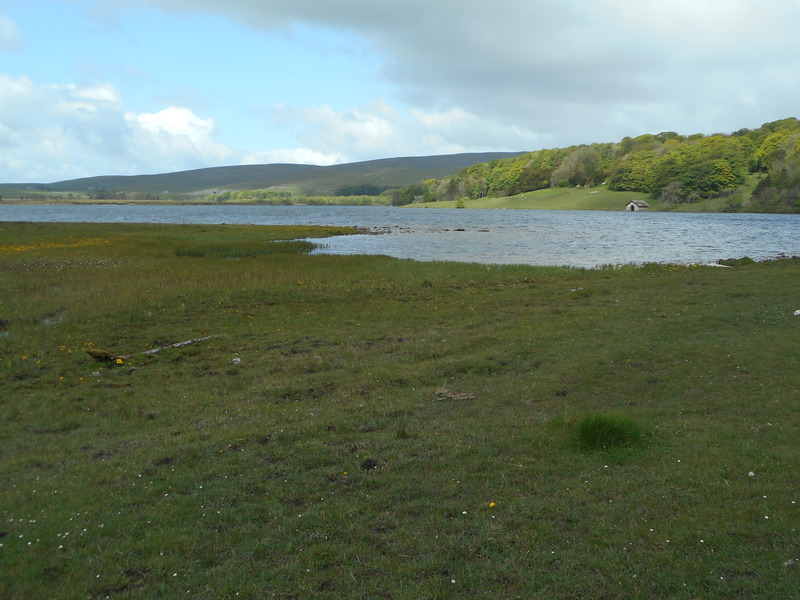 It wasn’t long before we passed the water sinks and reached Malham Tarn, where our objective came into view for the first time. 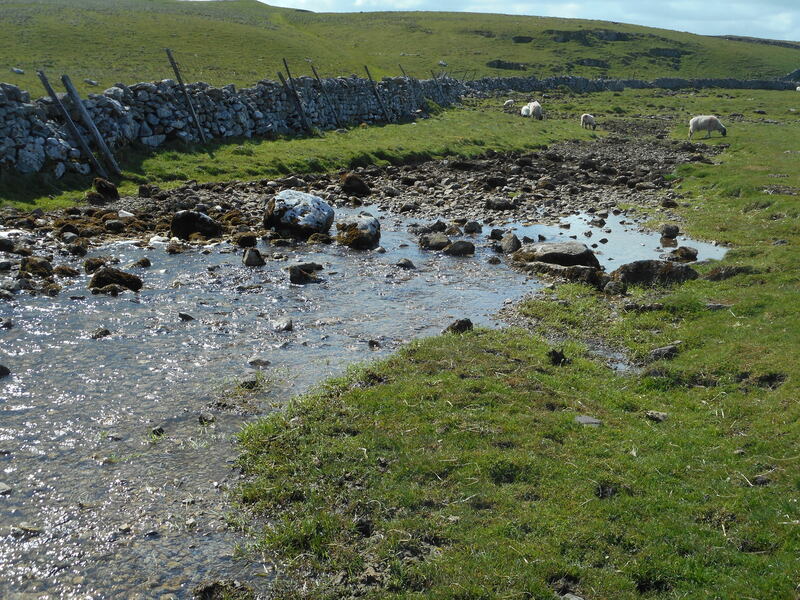 Beyond the tarn, we cut across to the bridleway that runs under Knowe Fell, before joining a path that was waymarked by the National Trust some years ago and which joins the ridge just to the north east of Knowe Fell. There wasn’t much sign that anybody really uses the path! It was a pleasant ascent though, accompanied all the while by the cries of the curlews, lapwings, skylarks and golden plovers. 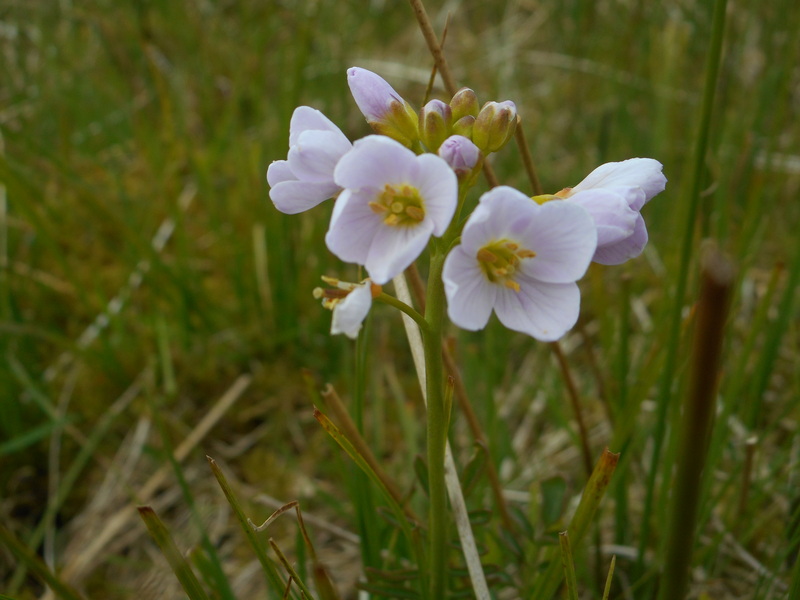 There were also many mountain pansies and cuckoo flowers in evidence. 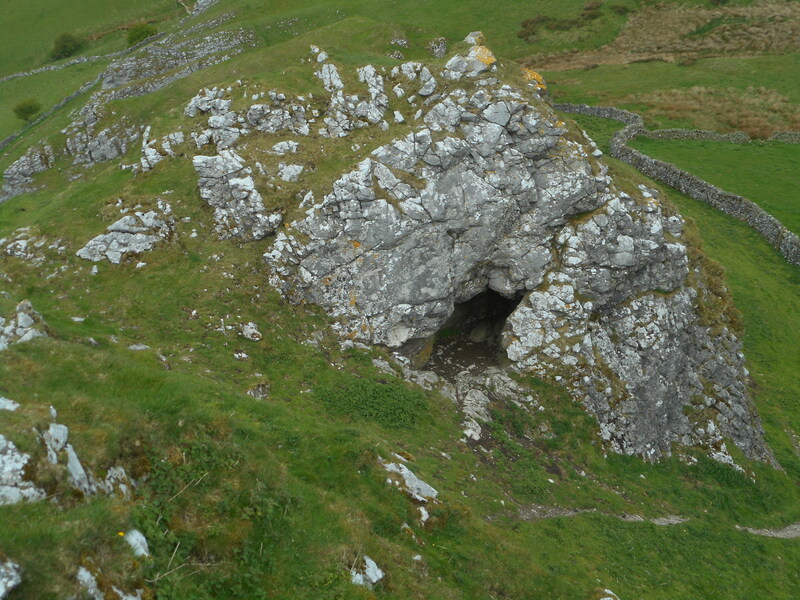 I investigated several shake holes as well, several of which had rabbit holes in the bottom, though it didn’t appear to me that any of them were in use by potholers. 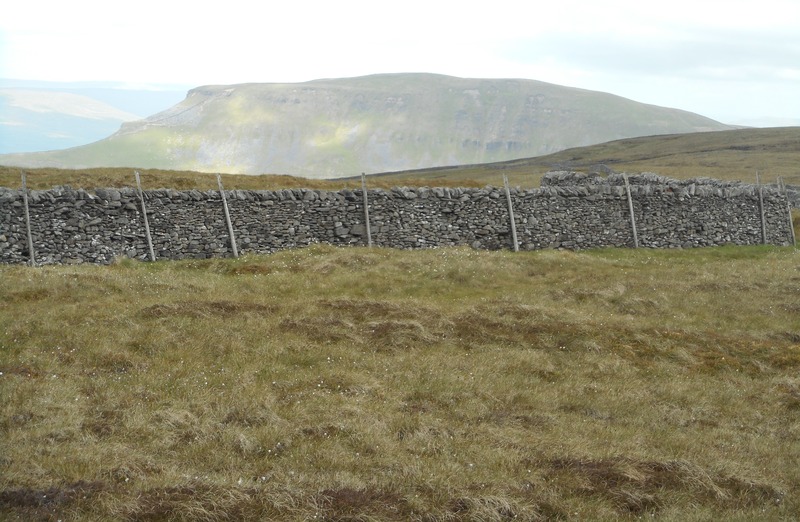 The route along the ridge thankfully was much drier than usual, and we were soon enjoying the views across to Penyghent. 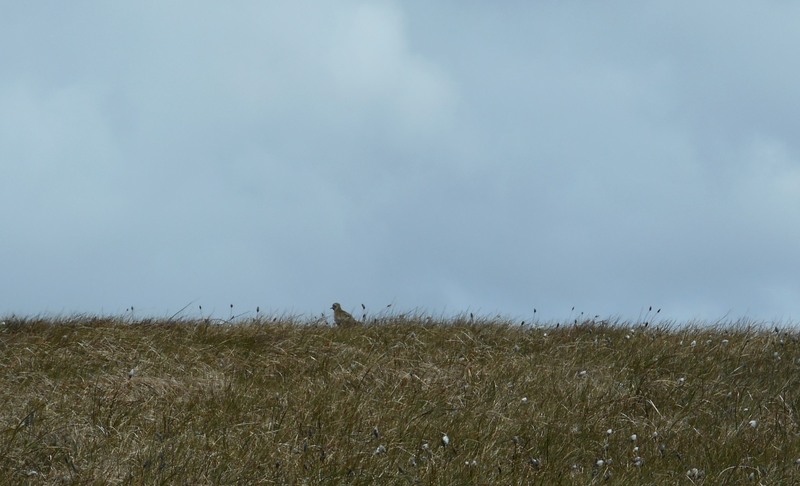 We also stopped to enjoy the antics of a couple of golden plovers for several minutes. It wasn’t long before we reached the South Top of Fountains Fell (2172 ft), on which a neat new summit cairn now stands, it having been unmarked on my last visit. Presumably this was erected by enthusiastic Nuttall baggers. Just below this top lies Fountains Fell Tarn. 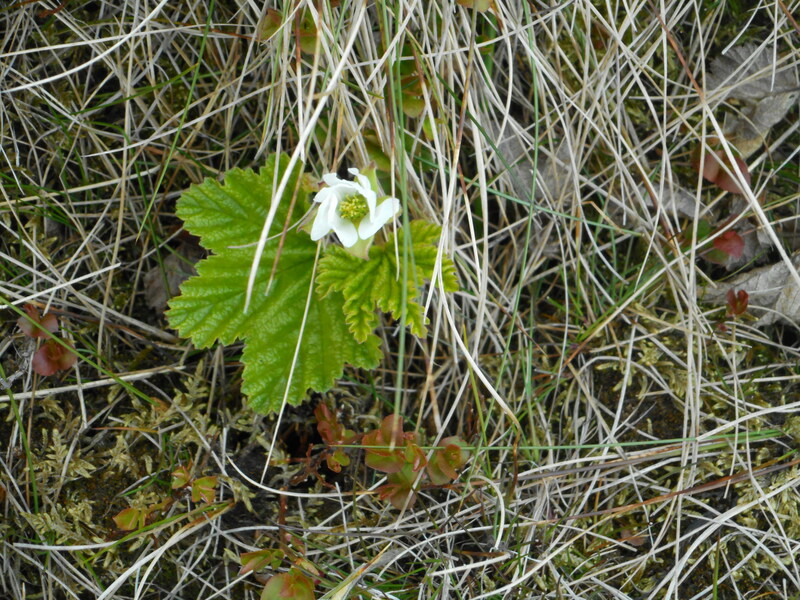 There were also large numbers of cloudberry plants growing in this area, though it was too early for any of the fruit to have developed. 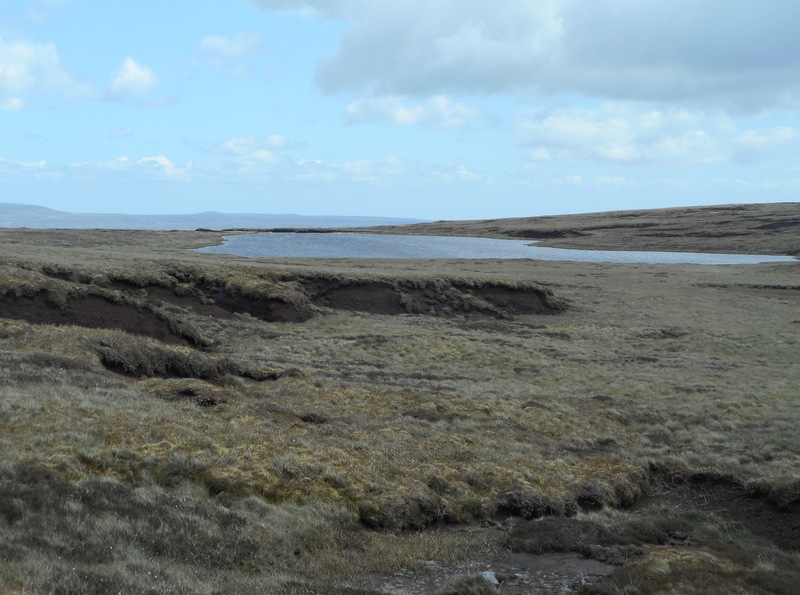 Beyond the tarn, we made our way up the final rise to the summit of Fountains Fell (2192 ft), where we encountered a couple of amateur radio enthusiasts sitting in a hollow. 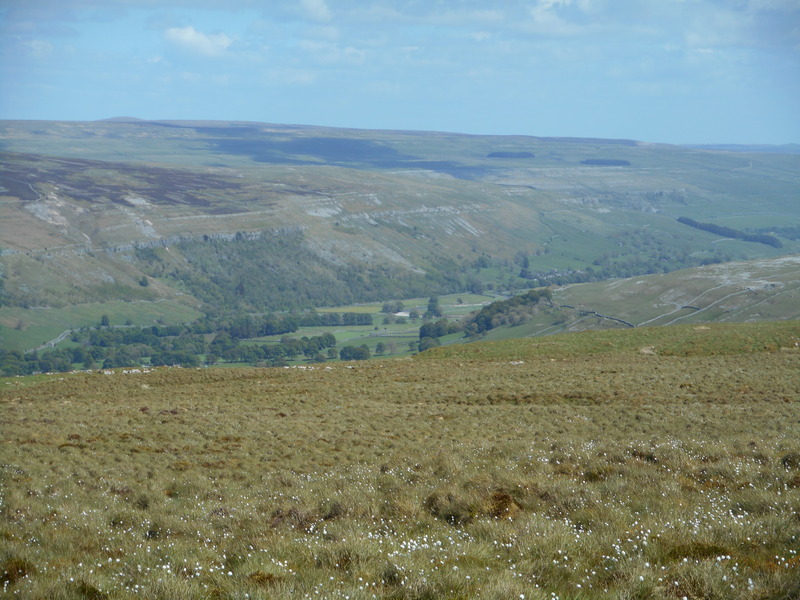 Not wishing to disturb them, we dropped down to cross the Pennine Way and continued on our way to Darnbrook Fell, the second of Fountains Fell’s subsidiary tops. 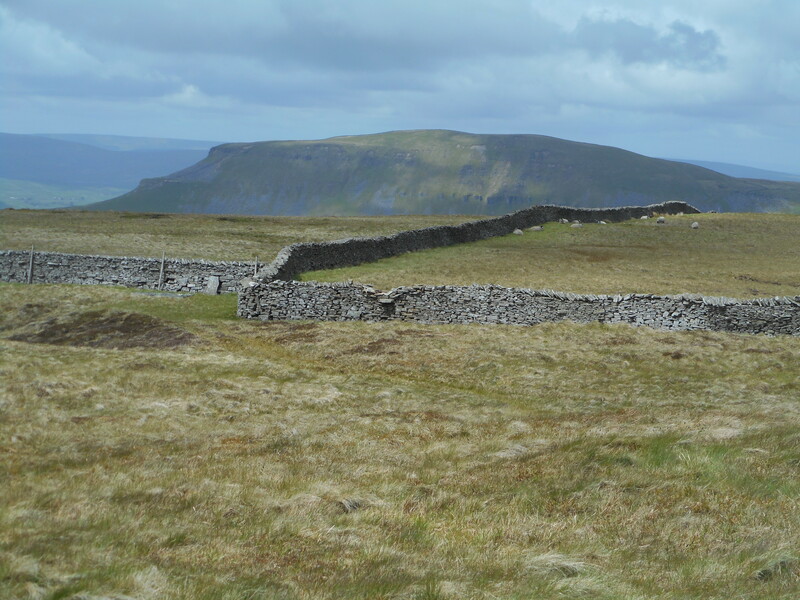 It was only in the vicinity of the summit and the Pennine Way that we met any other walkers on the fell. 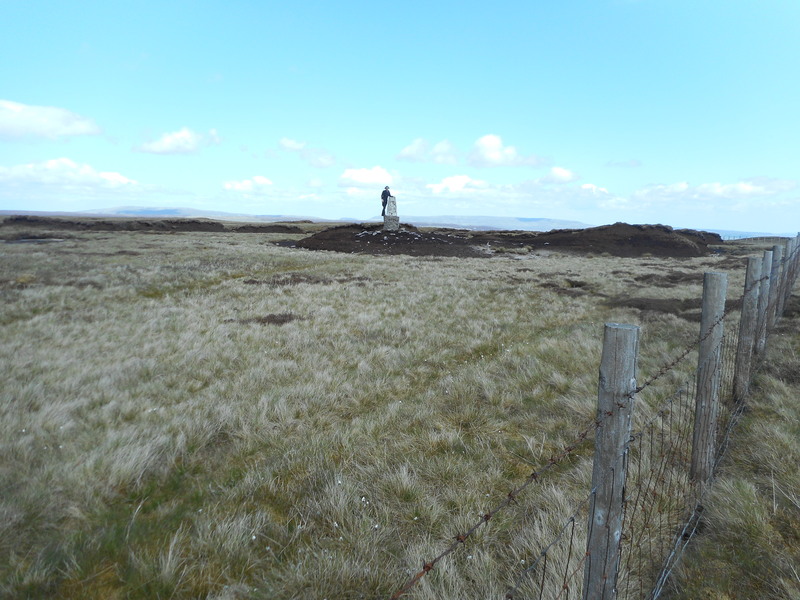 The trig point on the summit of Darnbrook Fell (2047 ft) now stands well proud of the surrounding peat, demonstrating how quickly it has eroded away – in the course of no more than 80 years. 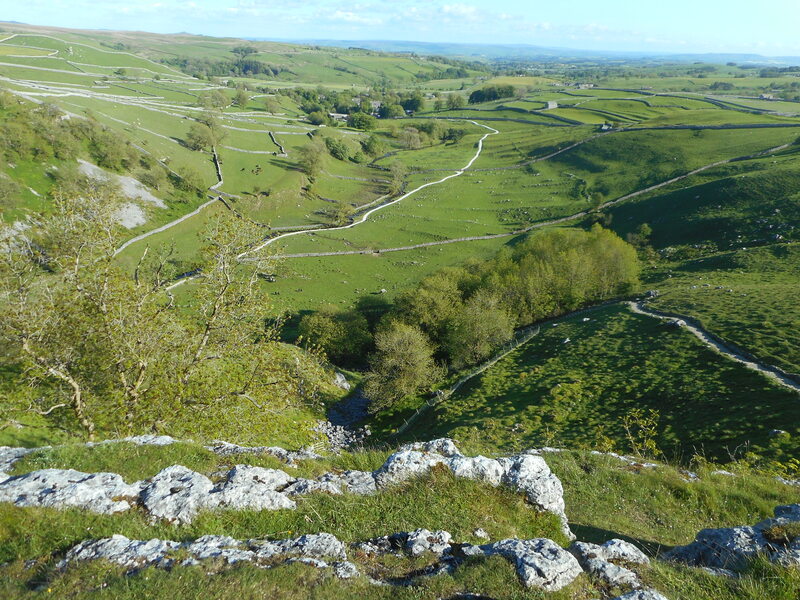 From Darnbrook Fell, the ridge line led us down to the Malham Tarn to Arncliffe road, with improving views down both sides. 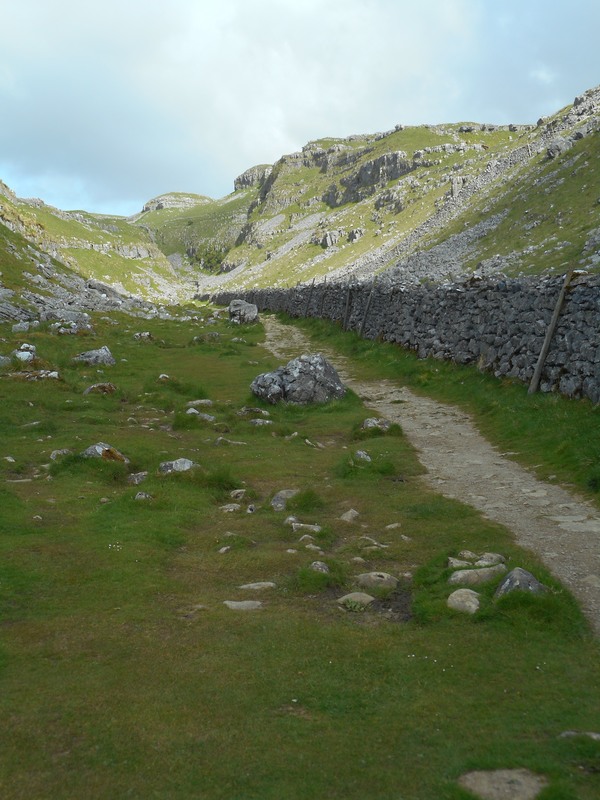 The mile or so that we had to walk along the road before we could join the Pennine Way to return to Malham Tarn seemed to drag on for far longer than it should have. 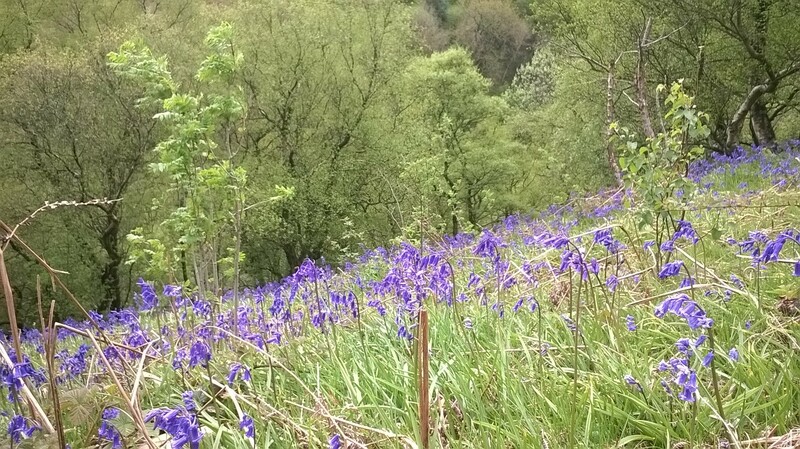 Having re-joined the outward route at the Tarn, it was a simple matter to follow it through Watlowes Valley and past the Cove and so back to the village. In such magnificent surroundings, repetition is never a hardship. 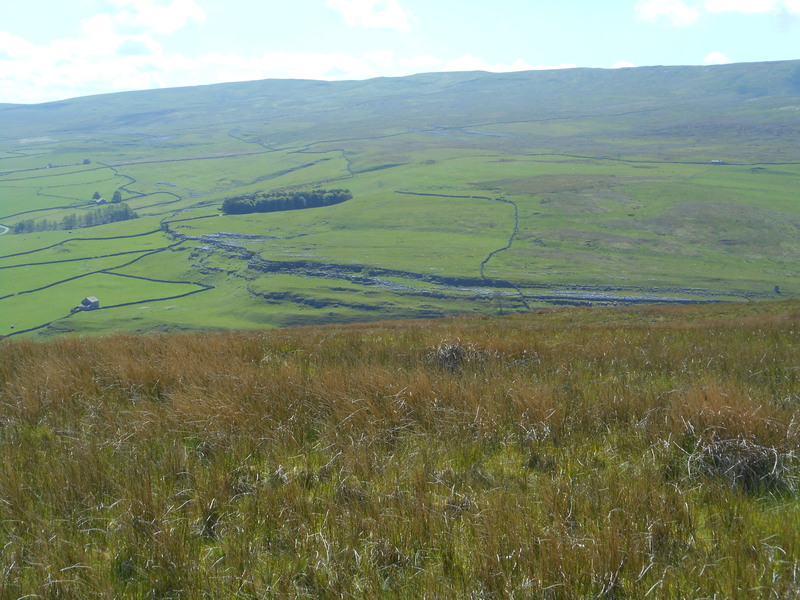 This entry was posted in Pennines on June 28, 2015 by neilsmountains. It’s often said that there are no peaks in the Peak District (cue lengthy explanation as to how the Peak District came to be so named). However, this is in fact completely untrue and our route on this day was to take us over two of the best defined peaks in the Peak District – Parkhouse Hill and Chrome Hill, along with the nearby Hollins Hill, which although less shapely than the other two still makes a worthwhile and satisfying addition. 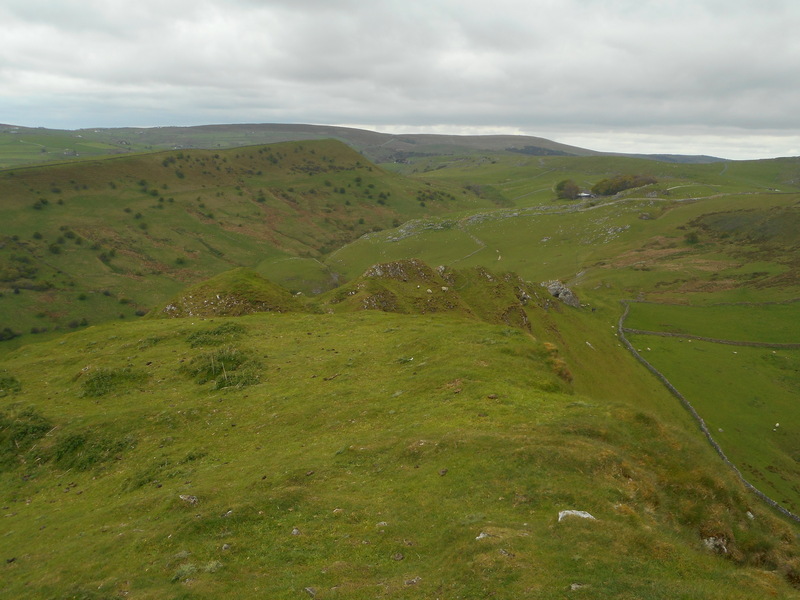 Leaving Earl Sterndale, it was surprisingly chilly for mid May and I soon had to pause to add en extra layer. We headed up and over Hitter Hill, which provided early views of all three ‘peaks’. 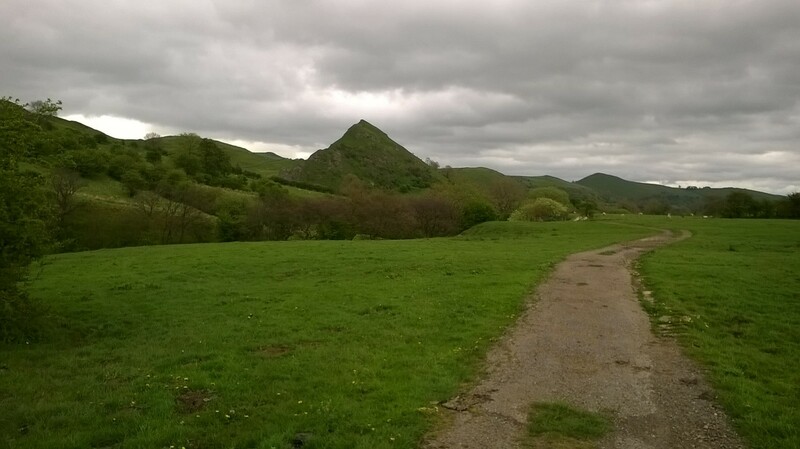 From below, Parkhouse Hill looks quite intimidating. 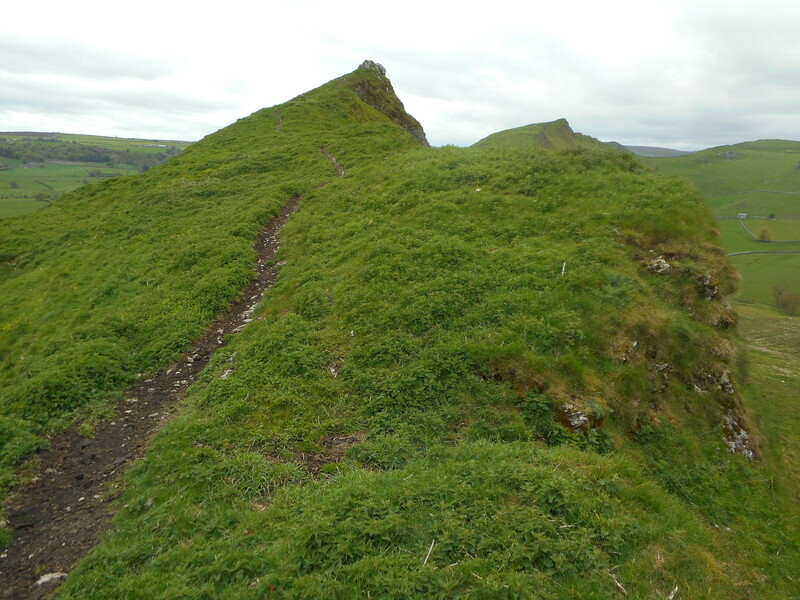 In fact, it is an easy climb on grass, and only takes around ten minutes. In no time at all, we were enjoying far reaching views from the summit (1180 ft). Descending from the summit via the west ridge, there are several options for easy grade 1 scrambling. I must admit that I chose to bypass some of them as the wind was quite strong and I’m not as confident in my down-climbing ability! 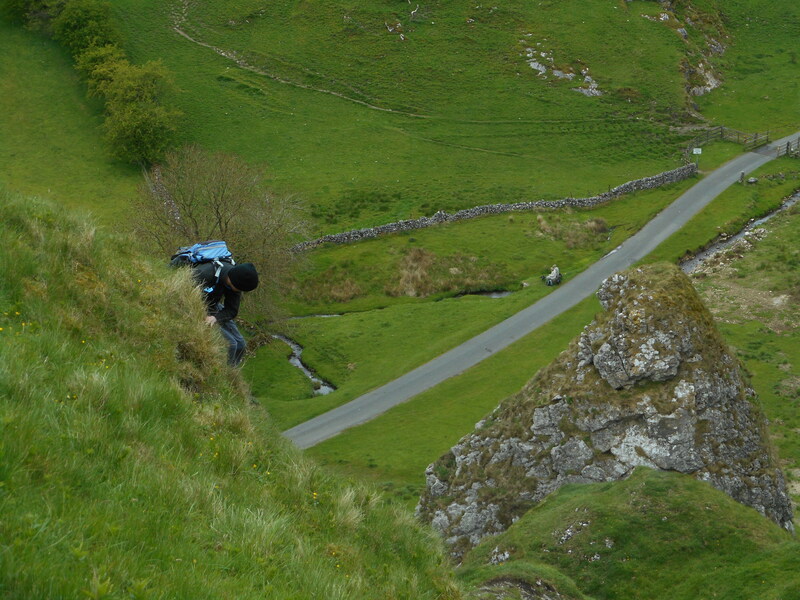 Unfortunately, it’s necessary to descend all the way to valley level before the ascent of Chrome Hill begins. 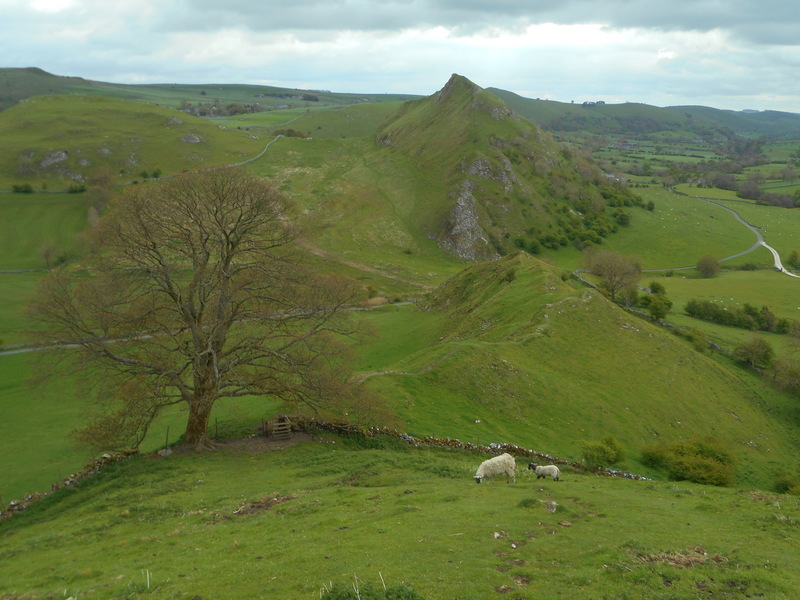 It’s a slightly longer ascent to Chrome Hill, though it isn’t as steep as Parkhouse Hill. 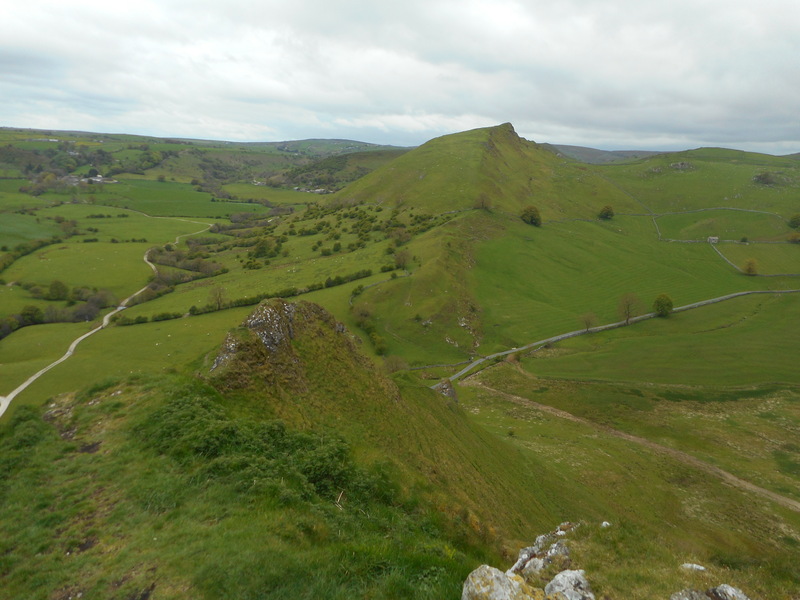 The retrospective views to Parkhouse Hill and lower Dovedale are magnificent and provide a good excuse to pause on the way up. 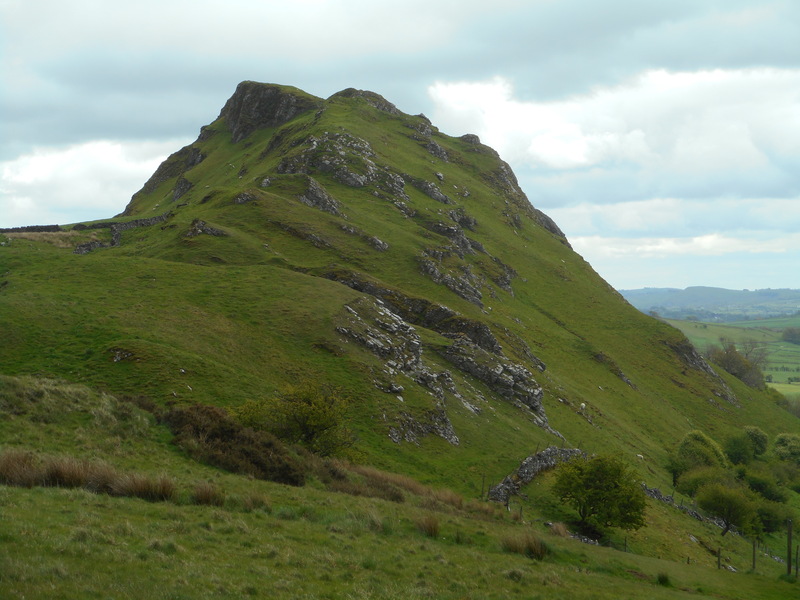 Chrome Hill’s summit (1394 ft) is also a magnificent viewpoint. 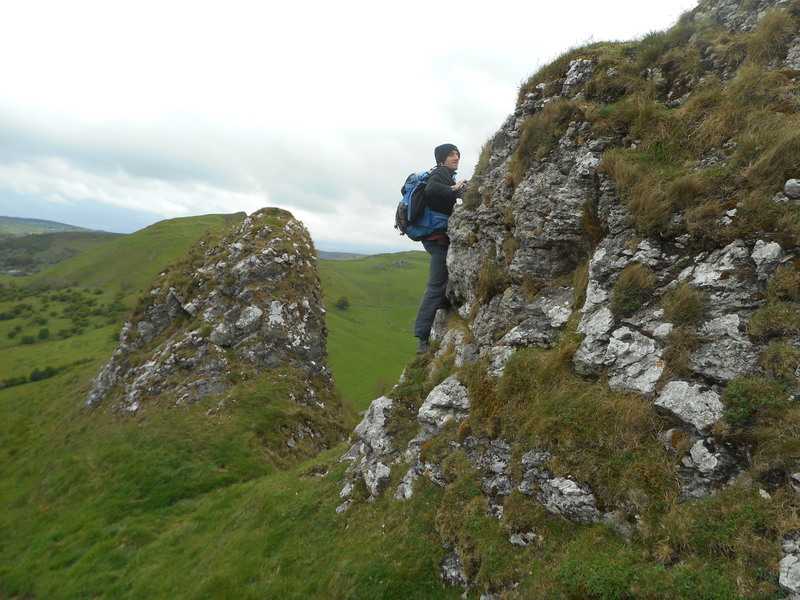 It surprised me to discover just how much smaller Parkhouse Hill appeared to be. 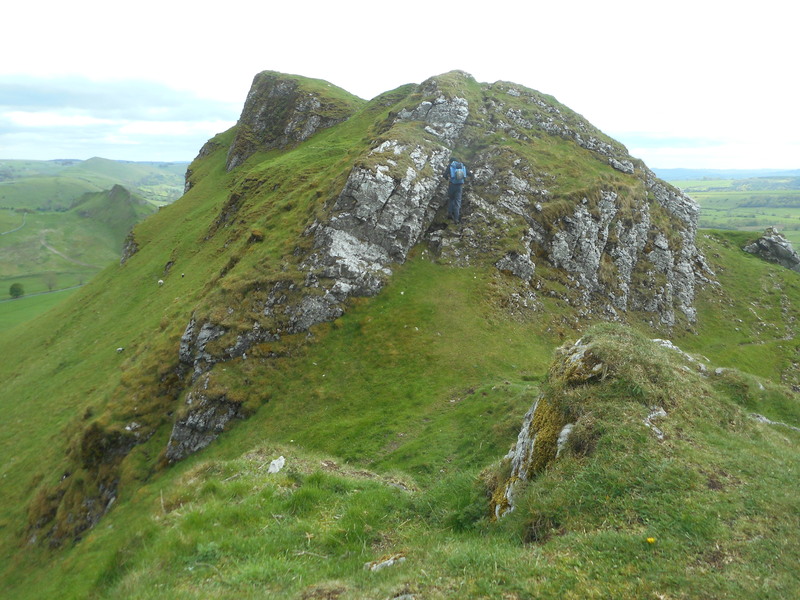 There is also some easy scrambling on the descent from Parkhouse Hill, though it is less continuous and easier than on the latter. 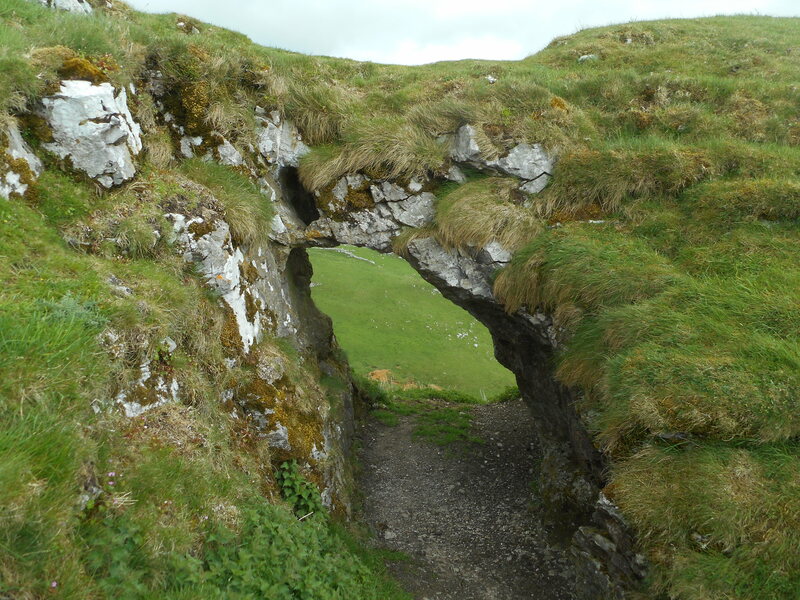 We also found some intriguing rock features en route, including a natural arch and a cave. 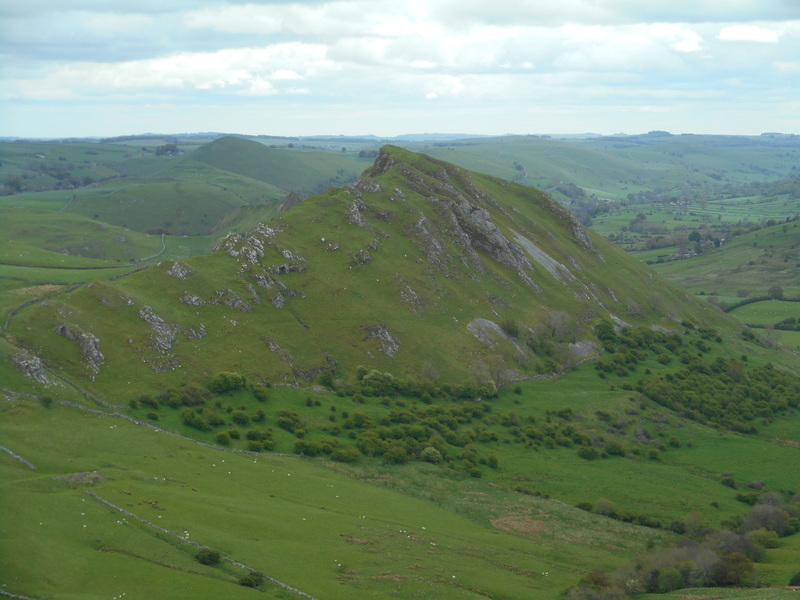 A slightly circuitous route has to be followed to reach Hollins Hill, but it’s a pleasant walk passing Tor Rock and with impressive views back to Chrome Hill. Hollins Hill is very different in form to Chrome and Parkhouse Hills. 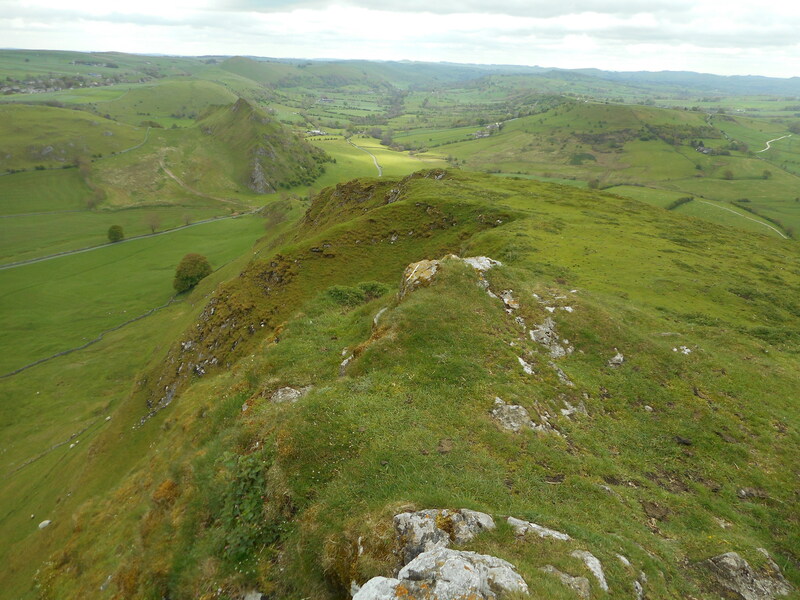 There are no sharp ridges here, though the northern edge drops off quite steeply, giving excellent views across to Chrome Hill on the other side of the valley. 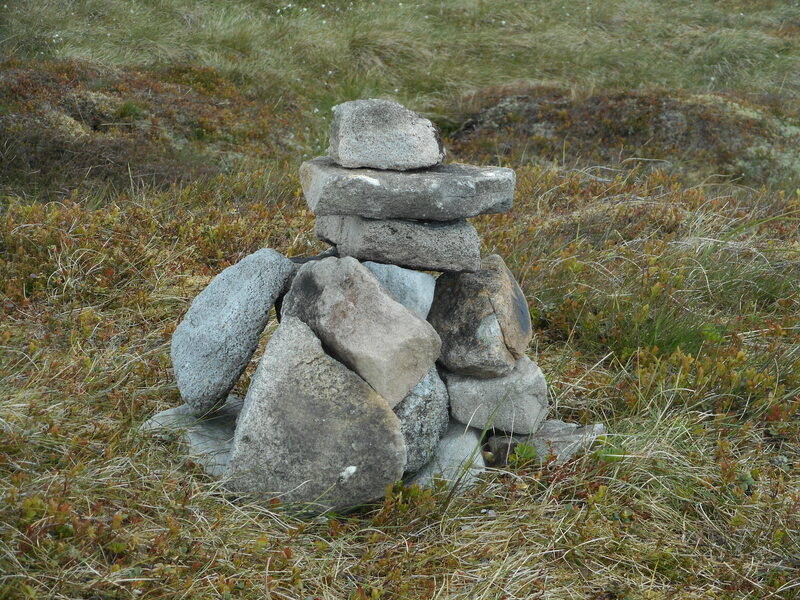 Its summit (1476 ft) is the highest of the day and is crowned by an ancient tumulus. 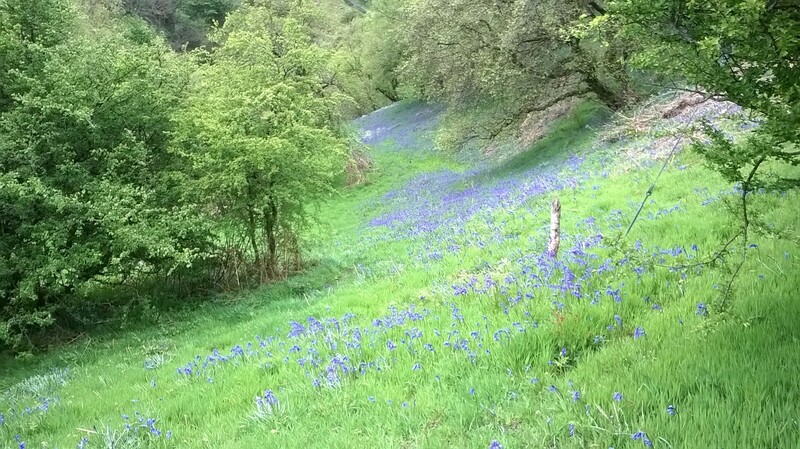 Below Hollins Hill, we passed through a short stretch of woodland where there was a beautiful display of bluebells. Shortly afterwards, we crossed the infant River Dove to enter Staffordshire for a short distance. 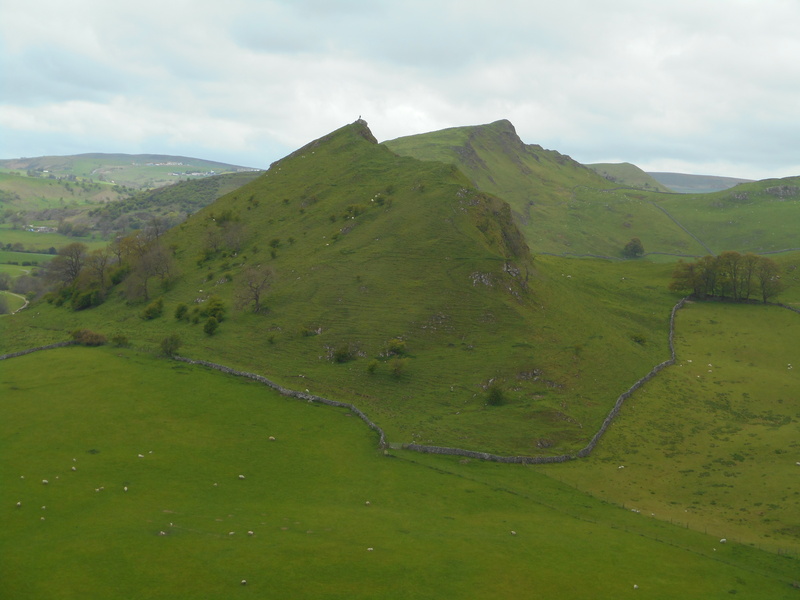 Our return route took us through the picturesque village of Hollinsclough and alongside the youthful Dove, before traversing the lower slopes of Parkhouse Hill and re-crossing Hitter Hill to return to our start point in Earl Sterndale. 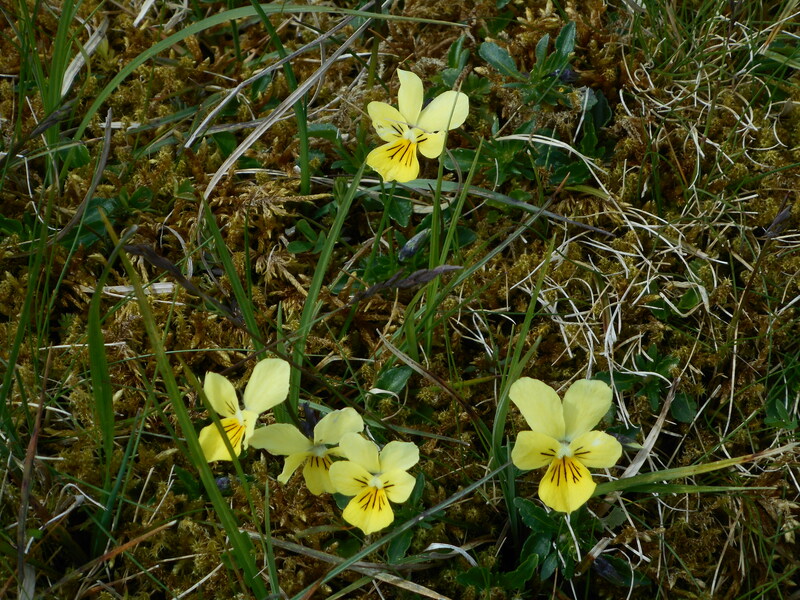 This entry was posted in Pennines on June 27, 2015 by neilsmountains.